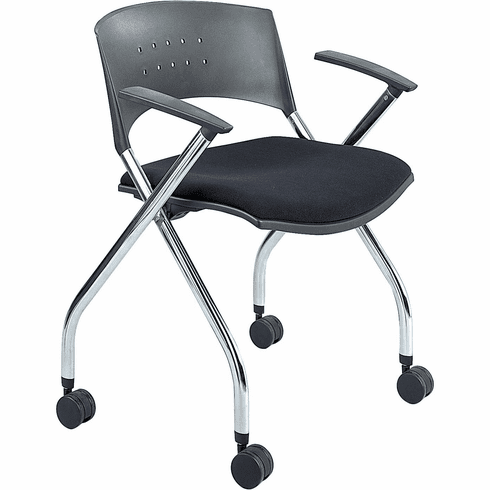 Convenience and comfort can be found in the Safco XTC upholstered nesting chair. Wheels on the legs allow for easy mobility. Sit comfortably with the additional chair arms and the contoured design of its back. Finish options include black, blue, burgundy and gray. Wheel Caster Size Diameter: 2"